TAP KIDS BOOTCAMP ON THE ROAD is designed to give studios the opportunity to expose and inspire students of all levels to take their tap dancing to the next level. A one-day workshop at your studio, (two-day workshops also available) created with the high standard of excellence and quality that TAP KIDS is known for. 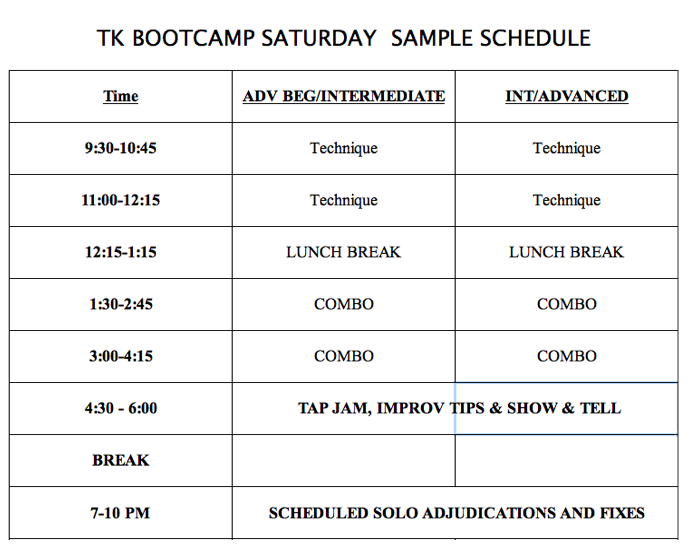 TAP KIDS BOOTCAMP ON THE ROAD is uniquely structured to focus on technique separately from learning choreography (see sample schedule) with an emphasis on quality vs quantity. Dancers will take one technique class and one combo class from each of the faculty (4 classes). At the end of the day, classes will come together for a tap jam and some tips on improvisation and share what they’ve learned with each other (parents are invited to watch). The evening is reserved for scheduled private consultations, adjudications and fixes/cleanup sessions. These are intended to give an opportunity to the dancer(s) to get feedback on their work and help prepare them for competition season. These sessions would be charged and scheduled separately and subject to availability. TWO DAY/WEEKEND WORKSHOPS ALSO AVAILABLE. TAP KIDS BOOTCAMP ON TH﻿E ROAD﻿ will be inspire students as they hear the TAP KIDS’ stories and learn how they turned tap dance from a hobby to a career. (TK Faculty have toured nationally and internationally, appeared on TV, Film, Concert Stages and Broadway). SCHOLARSHIP OPPORTUNITIES are available for both the TK Summer Intensive and TK Boot Camp. Students will also learn about the TK Apprentice and Summer Intensive Programs. 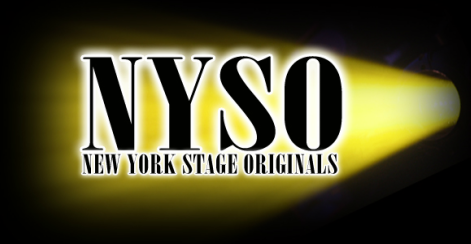 INFORMATION is available by contacting lisa@nystage.com.